Dedicated to creating designs for machines, parts of machines and other products. 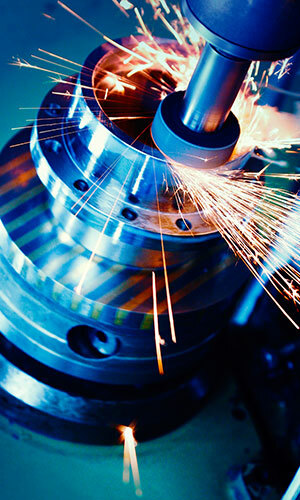 Product design and Manufacturing (PDM) is witnessing an overwhelming change. The whole manufacturing industry is undergoing automation, you no longer need to depend on the traditional designing techniques, all of that and much more than that can now be done using computers. All you will need is the understanding of the software that can accomplish product design and manufacturing for you. No matter how complex the work piece is, we can create its design using CAD software. Once we are finished with the designing part, we can then develop CNC (Computer Numerical Control) programs using CAM software, to guide and steer the machines, so that we get the perfectly crafted parts. A strong resolve to learn the software for designing and manufacturing shall be the enough qualification that we seek in our learning partners. This course is open for anyone who is fascinated by the automation in PDM and for those who like to create beautifully designed products using these computer software. Whatever your background is, our personalized training curriculum will be tailored as per your needs. From designing beautiful products to stunning looking cars, this course will be useful to all. Wherever there is human creation, there is scope for bettering the design and forge an aesthetically beautiful product. With lowering cost and increasing computational power, computers are going to dominate the manufacturing industry too in the immediate future. This will imply that there will be stress on automation across all the manufacturing industry. 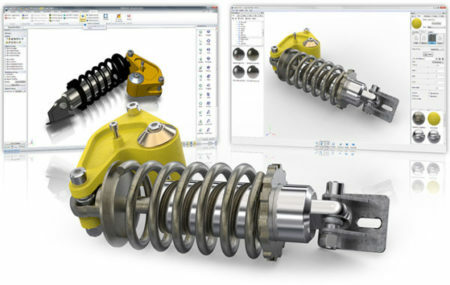 The demand for engineers who are trained in CAD/CAM software will be an uptrend in the market. Unlike the American market, Indian market will see double digit growth and an inclination towards adoption of CAD CAM software ascross all the industry be it the product design and manufacturing or media and entertainment industry. Passion and perseverance are the cornerstone for a successful and rewarding career. These are the attributes we look for in our learning partners. Rest we will take care the day you enroll with us. We have an active placement cell that will help you find the best opportunities in the market. You may find career opportunities with our more than 15 business partners also. They are both Indian and International conglomerates like Hero, Honda, Swaraj Mazda, Honeywell, United Technologies and many more. With skyrocketing demands for CAD CAM engineers, the salary of Manufacturing engineers is an average of $65,276 per annum whereas a CNC programmer or operator gets an average of $54,468 per annum. The demand for CAD CAM is slated to increase at a CAGR of 6.6%. The numbers show that if you have well versed skills in CAD/CAM software then there is a huge demand for this skill set. You can be rest assured that you will get the world class training at Wizcrafter. Wizcrafter is an authorized training partner with Autodesk which is the world leader in developing CAD/CAM software. We meet all the stringent guidelines set by Autodesk for its “learning partners”. We call our students as our learning partners because we believe that learning is two-way process, where the student and the trainer both get to learn from each other. Having trained more than 10,000 students, Wizcrafter has both young professionals and industry veterans as trainers who will help you, guide you and assist you amidst our journey of training. We offer Professional & Master Diploma Courses in Mechanical Engineering including Online Certification Exam verified by AutoDesk, USA.